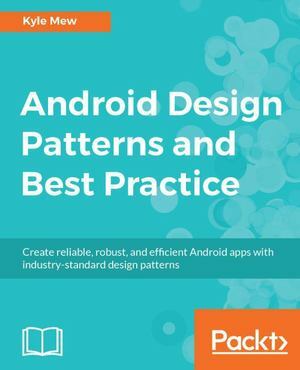 Create reliable, robust, and efficient Android apps with industry-standard design patternsAbout This Book- Create efficient object interaction patterns for faster and more efficient Android development- Get into efficient and fast app development and start making money from your android apps- Implement industry-standard design patterns and best practices to reduce your app development time drasticallyWho This Book Is ForThis book is intended for Android developers who have some basic android development experience. Basic Java programming knowledge is a must to get the most out of this book.What You Will Learn- Build a simple app and run it on real and emulated devices- Explore the WYSIWYG and XML approaches to material design provided within Android Studio- Detect user activities by using touch screen listeners, gesture detection, and reading sensors- Apply transitions and shared elements to employ elegant animations and efficiently use the minimal screen space of mobile devices- Develop apps that automatically apply the best layouts for different devices by using designated directories- Socialize in the digital word by connecting your app to social media- Make your apps available to the largest possible audience with the AppCompat support libraryIn DetailAre you an Android developer with some experience under your belt? Are you wondering how the experts create efficient and good-looking apps? Then your wait will end with this book! We will teach you about different Android development patterns that will enable you to write clean code and make your app stand out from the crowd.The book starts by introducing the Android development environment and exploring the support libraries. You will gradually explore the different design and layout patterns and get to know the best practices of how to use them together. Then you'll then develop an application that will help you grasp activities, services, and broadcasts and their roles in Android development.Moving on, you will add user-detecting classes and APIs such as gesture detection, touch screen listeners, and sensors to your app. You will also learn to adapt your app to run on tablets and other devices and platforms, including Android Wear, auto, and TV. Finally, you will see how to connect your app to social media and explore deployment patterns as well as the best publishing and monetizing practices.The book will start by introducing the Android development environment and exploring the support libraries. You will gradually explore the different Design and layout patterns and learn the best practices on how to use them together. You will then develop an application that will help you grasp Activities, Services and Broadcasts and their roles in Android development. Moving on, you will add user detecting classes and APIs such as at gesture detection, touch screen listeners and sensors to our app. You will also learn to adapt your app to run on tablets and other devices and platforms, including Android Wear, Auto, and TV. Finally, you will learn to connect your app to social media and explore deployment patterns and best publishing and monetizing practices.Style and approachThis book takes a step-by-step approach. The steps are explained using real-world practical examples. Each chapter uses case studies where we show you how using design patterns will help in your development process.